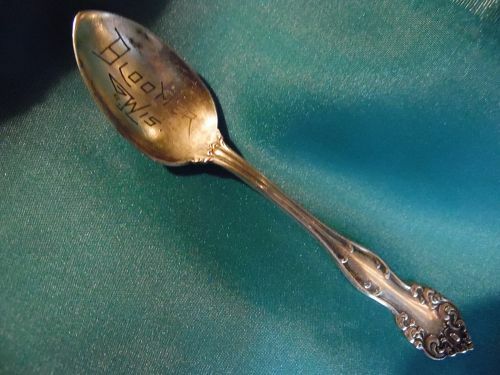 Antique Hotel flatware Silver plate berry spoon, from the Brown Palace Hotel in Denver. Art Nouveau Tiger Lily, 1901 pattern by Reed & Barton. BROWN PALACE HOTEL engraved on the back. The backside of the handle is also marked: REED & BARTON with the pat date. 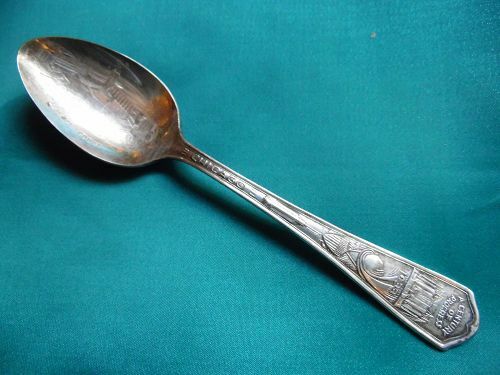 The spoon has a pretty ornate pattern, both on the front and back. 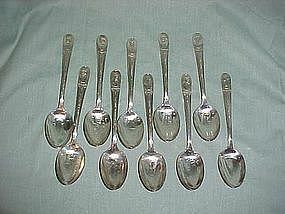 Measures approximately 5 1/4" long. In wonderful vintage condition. 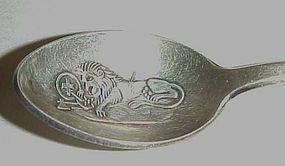 Collectible advertising souvenir silver Rolex Bucherer demitasse spoon with a lion embossed inside the bowl, and "ROLEX BUCHERER WATCHES LUCERNE" embossed on the front of the handle. 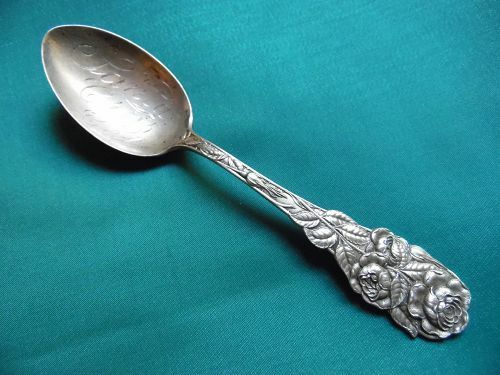 The back of the handle is embossed "CB 69 Measures 4 3/8 inches long by 3/4 inch wide. 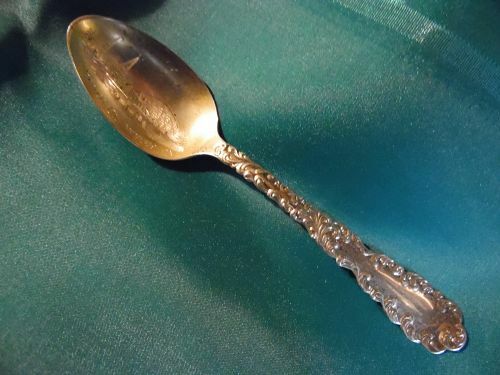 It has some tarnish, but will clean up nicely. Perfect condition. No sterling or 925 mark. 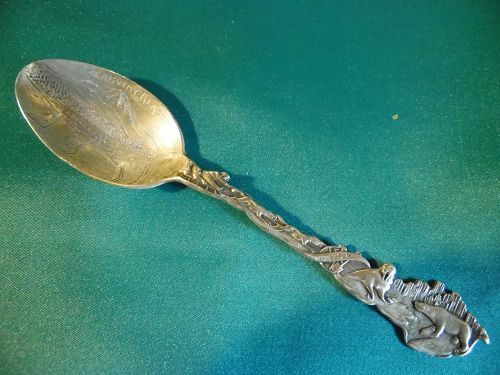 May be silver plate.